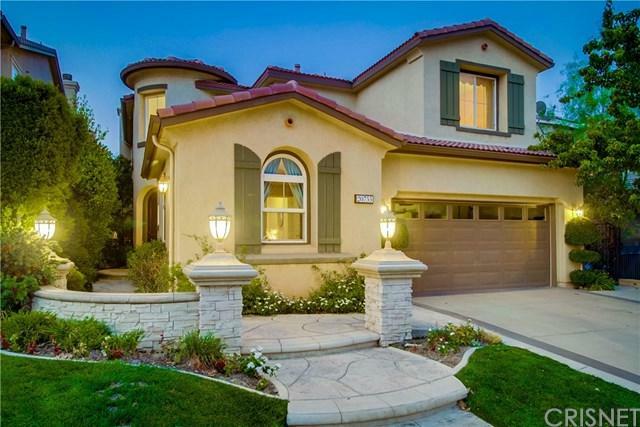 Welcome to this Exquisite Home Upgraded to Perfection in Coveted Guard Gated Community of Sorrento Nestled in the Serene Hills of Porter Ranch on a Premium Size Lot. 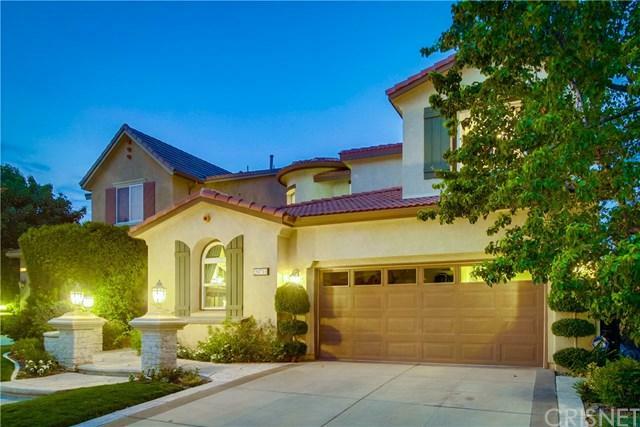 Lovely Rotunda Entry, Open Floor Plan with Rich Wood Floors on Entire First Level except for Main Floor Bedroom. Luxurious Living Room and Elegant Formal Dine w/Butler's Pantry, Custom Drapery, Decorator Paint Colors, Crown Molding, Recessed Lights, Wainscoting and Sconces. Family Room Offers Romantic Fireplace, Built In Media Niche and Surround Sound Speakers. Breakfast Area off Chef's Kitchen, Granite Counters and Island Features Espresso Cabinets, High Quality Stainless Steel Appliances and Walk-in Pantry. 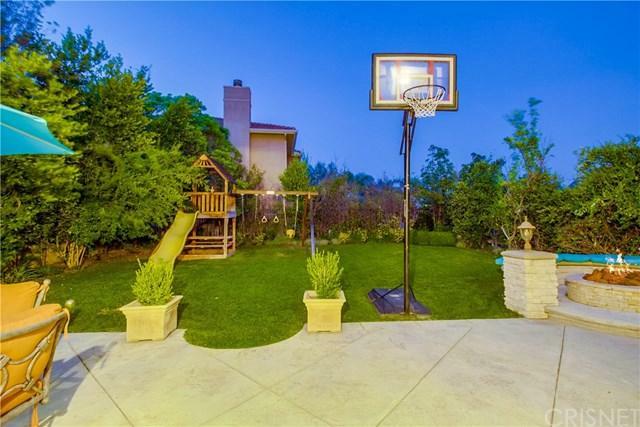 Rare Expansive Yard with Patio Area for Outdoor Dining, Tranquil Fountain, Lush Greenery, Grassy Play Area, Cozy Inviting Firepit with Sitting Area, Playground Set and Plenty of Room for Pool. Upstairs a Grand Master Suite with En suite Luxurious Bath, Marble Floors and Shower with Spa Tub, His and Her Closets. Two More Spacious Adorable Bedrooms and a Fabulous Bonus Room/Office with Double Glass Doors and Built-in Bookcases. 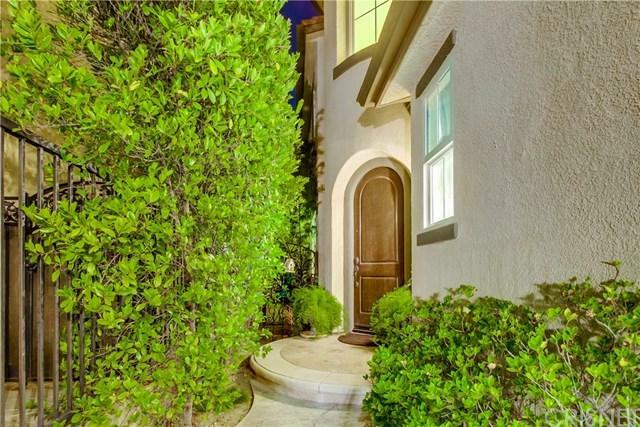 Wrought Iron Staircase, Alarm System, Central Vacuum, 3 Car Garage with Plenty of Cabinets, 2 Sparkling Community Pools/Spas, Playground, Close to Parks, Shopping, CSUN, Much in Demand Porter Ranch K-8 Comm. School with Great API Scores and Coming Soon Vineyards Shopping Center with Theater, Restaurants, Porter Valley Country Club, Fwy's, Downtown LA. Low HOA Dues, No Mello Roos. Sold by Bryan Neyer of Coldwell Banker Residential Br. Listing provided courtesy of Roupina Nalbandian of Re/Max Olson & Associates,Inc.